Golf Fitness. Over time, more and more PGA and LPGA Professionals have embraced the concept that being more fit will help their performance week after week (which means larger deposits in their bank accounts). 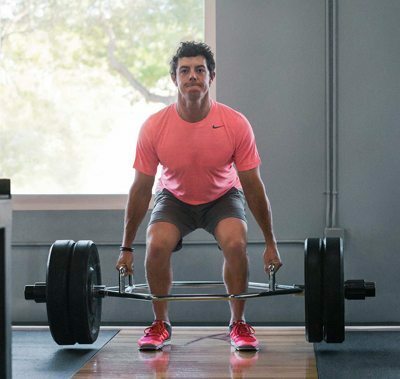 Today, it is rare to find a professional golfer who is not spending time in the gym, with a trainer, to improve his or her performance and to help them meet the rigors of traveling and playing 4-6 rounds per week. Is it time for you to consider a program to get fit for golf? Let’s look at five scenarios or categories to ponder (I’m sure you will relate to one of them). Then, check out my recommendations for getting started in your own program…or not. If this is you…The first thing is get some good instruction. This doesn’t mean from your cousin Felix. Go on YouTube and type in “basic golf swing fundamentals”. Watch as many videos as you can to get the basics down. Then go to a PGA Professional and take a few lessons. 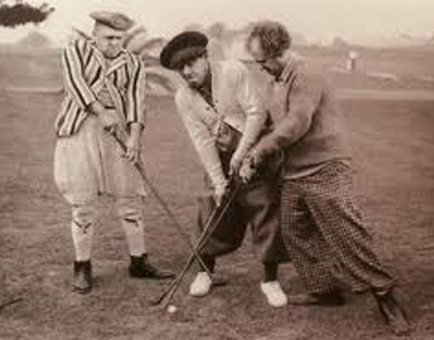 There is no need to seriously consider a fitness program related to golf just yet. If you already participate in a fitness program, that’s great! Stick with it. 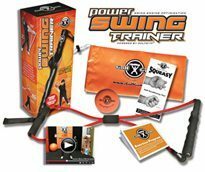 But, first things first, try to get a sense of what this great and frustrating game will offer you before you get committed to a golf specific fitness program. If this is you…go for it and just keep having as much fun as you possibly can. If more golfers had that attitude, there would be a lot more smiles on the golf course. If this is you…then you should consider a simple and easy training aid or video that looks appealing to you that will get you started on developing more flexibility, strength and/or power. The key word here is frustrating. Don’t let your frustration develop into an “I give up” attitude. Find something simple, start slowly, be committed to doing what feels good, and stay consistent. Maybe even a yoga/fitness program including resistance bands that will help with flexibility. Lack of flexibility is a very common cause for lack of distance. A complete workout program may be a turn off for you and only create more frustration. If this is you…then you should go online and review as much information on golf exercises for flexibility, strength, rotation, and adding distance. You may even consider a golf fitness seminar or clinic. Gather as much info as possible. YouTube has thousands of golf fitness related videos that address everything from the proper grip to how to incorporate Olympic weight training into your routine. Here again, go slowly and find something that you will stick with. If this is you…I suggest you contact a Physical Fitness Trainer in your area that is certified as a Golf Fitness Instructor through Titleist Performance Institute (TPI) or any other accredited organization. Get a physical assessment of your body as related to golf. From the results of your assessment, the trainer should create a golf fitness program that is specific to your individual needs. If you really want to improve your body to match the golf game you truly desire, you must seek out a qualified professional who knows golf and biomechanics as related to golf, and who loves their job. Then, you have to be committed and follow the program to a tee (maybe it should be a “t”). Let me know when you win! 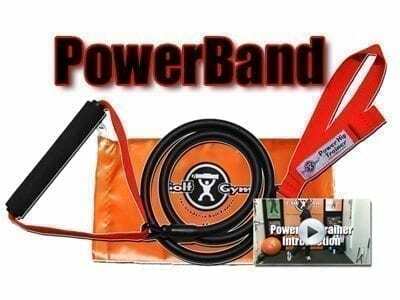 Click the “Shop Now” Button to check out our golf swing trainers, resistance bands, and supporting videos on this site to get you started on your own program.